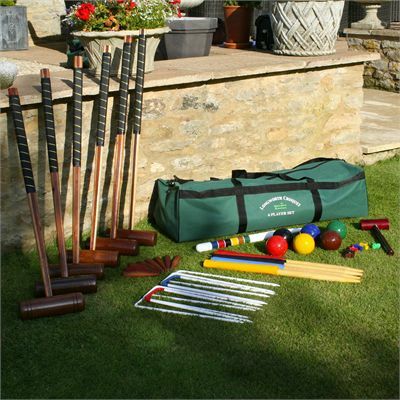 The Garden Games Longworth 6 player croquet set is supplied with 6 hardwood mallets with leather grips, as well as with 6 steel powder coated wickets to ensure ultimate durability. Additionally, the set comes with 4 plastic croquet clips to match the equipment and offers 8 handy wooden yard markers with a diameter of 2.8cm (1.1”). Four colourful corner flags are designed to be easily spotted while playing, whereas the wooden painted winning post and the hardwood hoop mallet make the set complete and very functional. for submitting product information about Garden Games Longworth 6 Player Croquet Set We aim to answer all questions within 2-3 days. 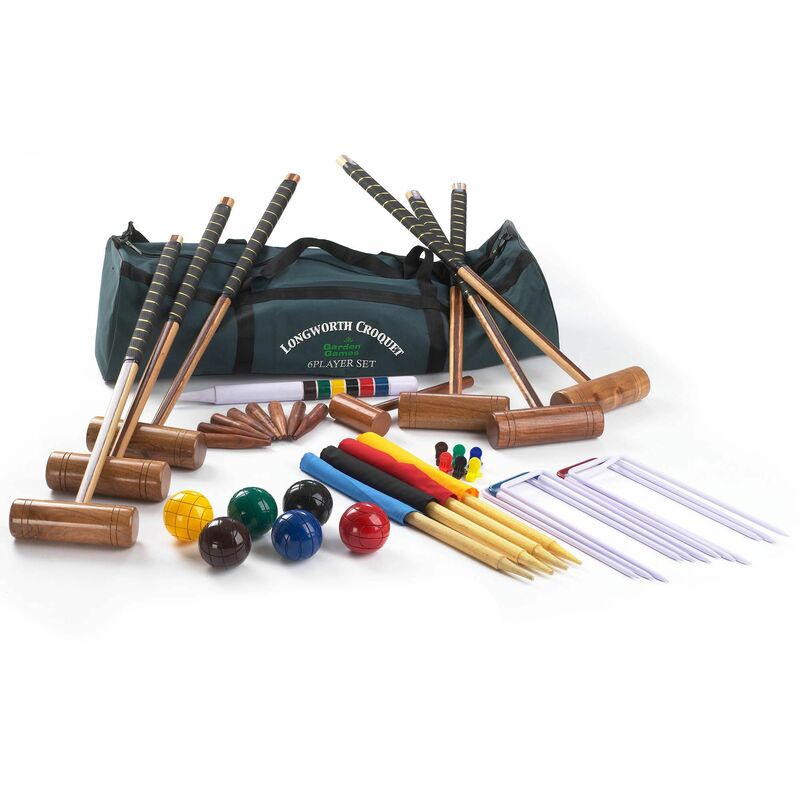 for submitting product information about Garden Games Longworth 6 Player Croquet Set. We aim to answer all questions within 2-3 days. If you provided your name and email address, we will email you as soon as the answer is published. for submitting product review about Garden Games Longworth 6 Player Croquet Set.